Advice on relieving the discomfort caused by sore and aching muscles abounds in the media, often with particular emphasis on over-the-counter pain relievers and anti-inflammatory agents. These medications are convenient and helpful in many cases. 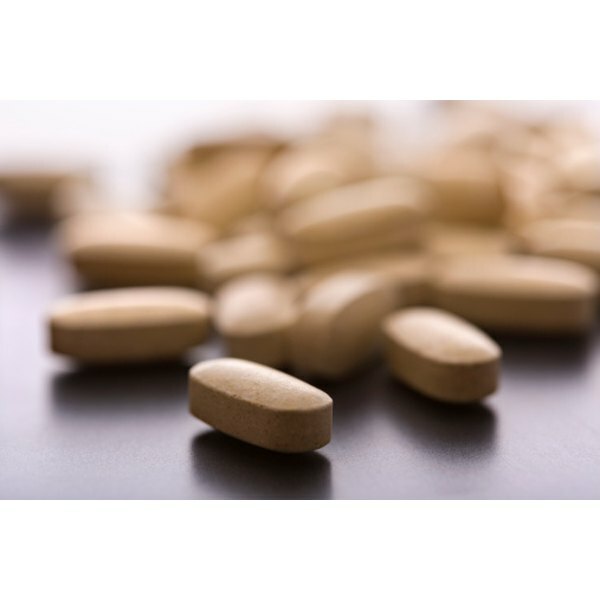 However, if you seek to avoid potential side effects of these drugs or if your aching muscles are a sign of an underlying nutritional imbalance in nutrients such as calcium, magnesium, zinc and vitamin D, dietary modifications or supplementation may be your best bet. Bands of taut and tender muscle fibers known as trigger points may be caused by impaired release of calcium in muscles, according to Siegfried Mense, co-editor of the book "Muscle Pain: Diagnosis and Treatment." Calcium normally functions as the chemical go-between that carries the message to contract between nerves and muscles. Calcium is also used within the muscle to coordinate contraction between muscle filaments -- the protein strands that make up muscle fibers. Some conditions, such as fibromyalgia and myofascial pain syndrome -- a chronic condition characterized by muscle pain throughout the body -- cause excess release of calcium, resulting in over-excitation and over-contraction of muscles. Magnesium, the counterpart to calcium in muscle function, gives muscles the command to relax. However, a Norwegian study published in the November 2008 issue of the "European Journal of Obstetrics, Gynecology and Reproductive Biology" found that magnesium supplementation was not effective at relieving leg muscle cramps associated with pregnancy. In the double blind study, pregnant participants with painful leg cramps took 360 mg of magnesium per day for two weeks. No significant reduction of frequency or intensity of leg cramps was reported. Blood levels of magnesium were the same between the treatment group and the control group at the end of the study period and a significant elevation in magnesium excretion occurred in the magnesium group, implying that the magnesium supplement was not retained or used to assist in relieving muscle cramps in pregnant women in this study. Muscle pain, fatigue and decreased immune function are some of the first signs of zinc deficiency, according to Mitchell Stargrove, N.D., author of the book "Herb, Nutrient, and Drug Interactions: Clinical Implications and Therapeutic Strategies." Your body has a limited ability to store zinc and operates within a narrow margin to supply all of your health needs. As a result, mild zinc deficiencies can show symptoms within a short period of time. Additionally, dietary habits that exclude high-zinc foods or living in a geographical location where zinc levels in the soil are low contribute to zinc deficiency. As many as 60 percent of adults in the United States do not consume sufficient quantities of zinc. Vitamin D deficiency is characterized by muscle pain and weakness and supplementation has been shown to improve muscle function. However, a study by researchers at the department of nutrition and exercise physiology, University of Missouri-Columbia, found that vitamin D status did not prevent muscle soreness in overworked muscles. In the study, participants overexercised their elbow flexing muscles; however, vitamin D status was not found to be a predictor of degree of muscle soreness among the 48 men and women in the study, published in the 2010 issue of the "Journal of Nutrition and Metabolism."